Media Size: 8.50" x 10.50"
Tapebound notebook contains wide-ruled sheets with margins. Sheets are perforated for easy removal. 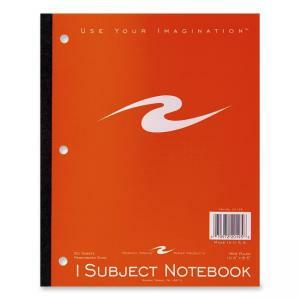 Recyclable notebook is three-hole punched for storage in binders.